CITY of Plymouth’s Matt Sumner and Erme Valley Harriers’ Sam Trigg both won medals at the England Athletics Senior and UK CAU Championships in Bedford. Sumner produced a sensational run to break his personal best that had stood for five years and picked up a silver medal in the men’s 400m hurdles. The Devon athlete clocked an impressive 51.21 seconds to finish behind Southampton’s James Forman on Sunday afternoon. Sumner’s previous best was 51.26, which was achieved at the BUCS Championship at the London Olympic Stadium in 2012. His run on Sunday was also a second quicker than his previous best time this season of 52.24 seconds. Afterwards he posted on social media: “After a unbelievably tough year on and off the track I am lost for words. Trigg’s medal came in the men’s triple jump on Saturday afternoon. The Erme Valley athlete took bronze behind Nathan Douglas and Jonathan Ilori. In tricky conditions, Trigg, who is preparing for next month’s World University Games, leaped 15.50m. That was a way of his best this season, which stands at 16.38m, but everyone was below their bests at Bedford. 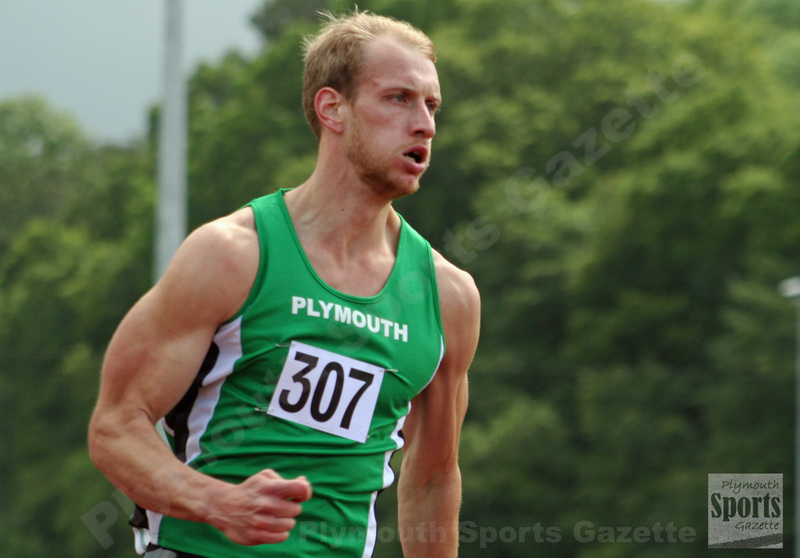 Meanwhile, City of Plymouth’s Jonathan Edwards took sixth place in the men’s hammer with a best throw of 63.15m. There was also a sixth-place finish for Devon runner Shaun Antell in the 5,000m.